Physiotherapy can treat spinal injuries, joint injuries and soft tissue injuries (which are injuries of muscles, tendons, ligaments and nerves). Also pre-surgery preparation and post surgery rehabilitation for operations such as hip and knee replacements, arthroscopies, spinal surgery, shoulder decompressions, replacements and rotator cuff repairs. At your first appointment, time will be taken gathering a full history of your condition. You will be required to remove only those items of clothing needed to enable examination of the relevant area. Chris will need to observe your movements and also palpate and test the areas in question in order to understand the nature of the problem. Your dignity will be respected at all times and a thorough explanation of the findings and treatment plan will be given. 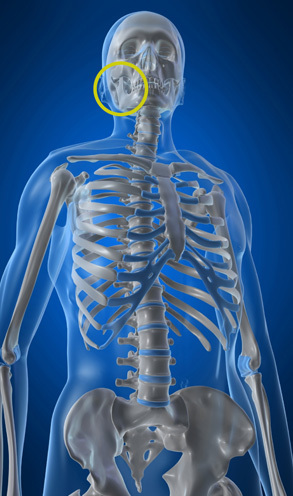 Our jaw bones form joints that are located near the entrances to the ears. They are known as the tempero-mandibular joints and can cause clunking noises and pain. In some cases it can be very painful to open and close the mouth. These problems can be treated with manipulation and exercise.